Where to eat in Downtown Napa? Local Wally knows the BEST restaurants in Napa, from cheap eats to 5 star dining, eat where the locals do! With the largest concentration of restaurants in the valley, downtown Napa is a culinary dream come true. You'll find gourmet burgers, beer can chicken, steaks, sushi, ethnic foods, fancy sit down restaurants and funky take out - all prepared by some of the worlds best chefs. Unlike other guides that give you an endless list of restaurants, Local Wally's Napa Tourist Guide only features the best, the restaurants I love and the ones locals eat at. Pick any of the restaurants below and know you're going to have a great dining experience. 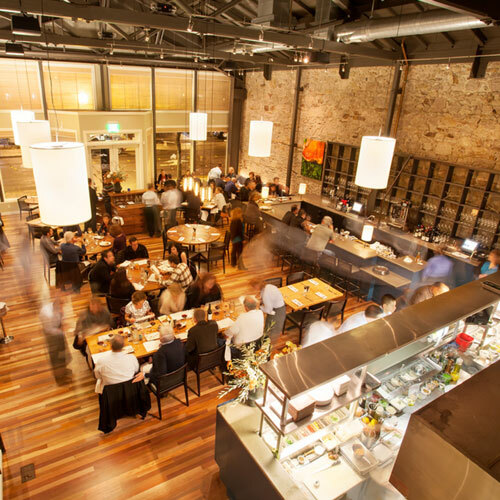 As with all Napa restaurants, make those reservations as soon as you know you are coming as the good ones fill up fast - and all the restaurants below are better than just good, they're the Best Restaurants in Downtown Napa. Get a Wine Pass and Never Pay Full Price For Wine Tasting Again! 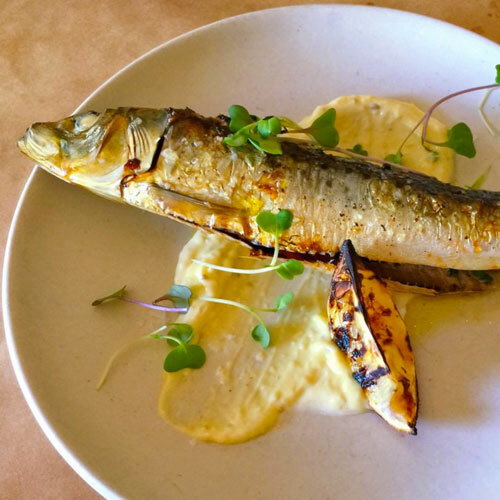 Dining Downtown Napa on a Budget? Those on a tight budget should seek out the many Happy Hour deals in Downtown Napa. My favorite has to be The Bounty Hunter (review) where you can get a $10 BBQ sampler platter and 2 for 1 beer and wine M-F, 3 to 6pm. Runner up is Hog Island Oyster (review) in the Oxbow Market where you can get dollar oysters on Tues or Wed nights (unadvertised "locals special") and half off deals during Happy Hour. You won't even know you're on a budget if you dine at either of these two places. 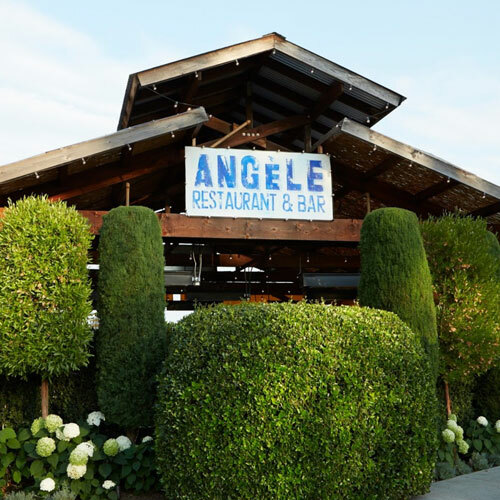 A true locals hangout, Angel's has some serious credentials. One of it's owners built Auberge du Soleil while the other managed The French Laundry and was General Manager at both Bistro Jeanty and Bistro Don Giovanni. Modeled after a Paris bistro that was downstairs where the mother of the owners lived, Angele offers both intimate inside dining as well as outside terrace dining with a view of the river. The setting is warm contemporary - cement floors mixed with an open wood beamed ceiling - you'll feel comfortable whether you arrive in khaki's or dressed up in style. French inspired, this is fancy food in a rustic setting. There are 400 bottles of wine, 40 wines by the glass, and plenty of beers on tap but the big attraction at The Bounty Hunter Wine Bar & Smokin' BBQ is the famous beer can chicken, a full bird sitting on top of a can of Tecate beer. Ultra casual, animal heads decorate the walls in a cowboy theme, though I bet a cowboy never drank wine this good. With smokers out back, Bounty Hunter serves up some credible BBQ, from ribs to brisket, along with burgers, sandwiches, salads, and one of the best Happy Hours in Napa where $5 gets you a rib and cole slaw plate, $10 gets you a BBQ sampler, and beer and wine are two for one. Busy, noisy, fun atmosphere. Sterling Tram is 2 for 1 with pass! Get the pass to get the free deal. Two for One Tastings in Napa! You need this Wine Pass. I started this website over 10 years ago with the idea of helping visitors visit Napa on a Budget. Over the years the discounters have come and gone but the one remaining that I trust is the Priority Wine Pass. Recommended by BevMo, this pass is only $39.99 per couple but gets you two for one and free tastings all over Napa and Sonoma, saving you $25 or more at every stop. Do the math, Einstein, and it’s a no brainer you will save money as long as you visit 2 wineries. Two for One’s at Sterling, Charles Krug, Beringer, BV, Rutherford Ranch, Napa Cellars, and many, many more… including hidden gems that most tourists miss. Email me and I’ll even build you a stop by stop agenda, for free, focused on the best deals in Napa and based on your winery experience and desires. Though they call this "global comfort food" it's really just modern takes on foods you love, perhaps with a bit of Asian influence but nothing so crazy that you don't recognize the dish when it arrives. If you're looking for steaks and seafood prepared Napa-style and served in a comfortable and rustic setting, Celadon in downtown Napa is the place. The inside dining room is intimate but come here on a nice evening and it's the outside patio courtyard that is the star. Get a table by the roaring brick fireplace on a chilly evening, it's romantic and inviting. My favorite? The mussels with applewood bacon and tomatoes are worth a visit alone. Owned by the same people who brought you the more casual Celadon, Cole's Chop House is an upscale, fine dining steak house, much in the same vein as Ruth's Chris only in a more rustic and authentic Napa setting. Zaget called it the best steak house in the entire San Francisco Bay Area. Housed in old 1800's exhibit hall once used for the Napa and Sonoma fairs, Cole's Chop House is both rustic and elegant with tablecloth dining and a lively bar scene. If you know your steaks then you're going to love their 21 day dry aged prime cuts. Bring your best credit card, entrees average $50 or more and everything is a la carte. But worth it? You bet! Insanely fantastic burgers, do not confuse Gott's Roadside with fast food. Using only the best ingredients, Gott's takes the classics to a whole new level, the kind of burgers that will make you a believer again and a bargain at less than $10. Ahi Burger ($16) is a standout, a rare cut of sushi grade ahi topped with Asian slaw, it's the best fish sandwich you will ever eat. Of course, a good burger joint needs awesome fries and Gott's does not disappoint. Sweet potato, standards, garlic fries, chili cheese, onion rings, all of them top quality and expertly prepared. Shakes and floats along with beer and wine, it's got to be Gott's for Napa's best cheap eats. You've seen him on TV, now see for yourself why he has earned the title of Iron Chef. This is no Guy Fieri theme restaurant, Morimoto delivers his promise of blending the best ingredients into a fusion of Japanese cuisine for the modern American palate. Of course there is sushi, best quality of course. But there are also plenty of hot cooked dishes. The crispy whole fish is a standout and there are even ultra high end steaks, though at $25 an ounce you'd better really want a steak. Those on a tight budget will love the lounge where there are appetizers, soups and sandwiches for a slightly more reasonable price. 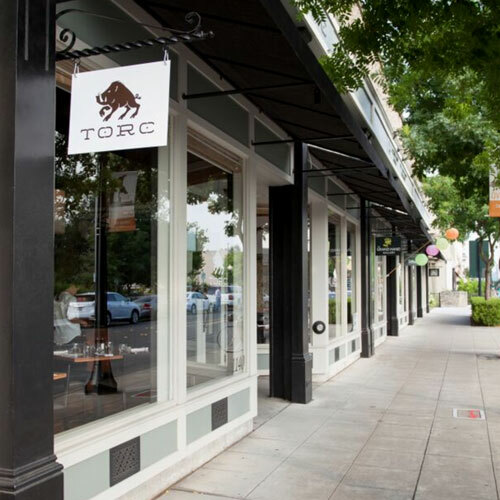 With its stunning open architecture inside, floor to ceiling stone walls, open beams and rustic/contemporary furnishings, Torc has the look of an upscale hipster restaurant. There's an open kitchen, a huge bar to one side, and a lively vibe that goes nicely with the white tablecloths. Noisy, yes, but so much fun, a locals favorite. Modern food to match the setting, the food becomes edible art that makes taking a photo irresistible. 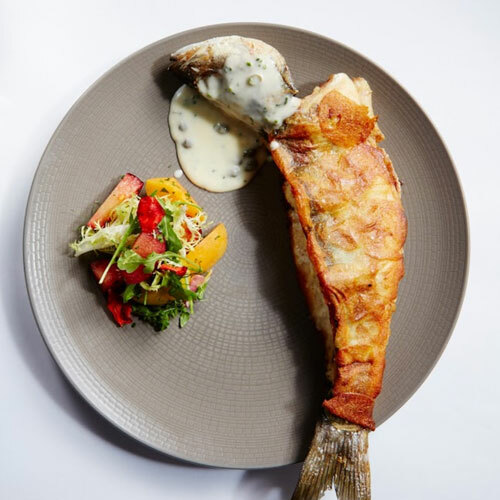 Farm to table, globally influenced flavors, locally sourced ingredients, this is a chef driven restaurant that caters to both locals and visitors with everything from foie gras to seafood to steaks, all deliciously prepared. Off most tourists radar is Uva Trattoria & Bar, a popular downtown Napa eatery that's been serving authentic Italian fare for over 16 years. New owners haven't missed a beat, offering creative pizzas for $16 and pastas under $20, a real deal in overpriced Napa. Live music nightly, mainly blues and jazz (calendar of events) and a $10 burger and beer special on Tuesdays nights. There's even no corkage on your first bottle - thanks! If you have plenty of energy after a day of wine tasting and want to "go out" for live music and great food at reasonable prices in an unpretentious setting then Uva Trattoria is your place. Nearly always packed, Zuzu's has been attracting scores of locals and visitors who crowd into the tiny no-reservations eatery to order up plate after plate of tapas, small bites of Spanish meets South America with a twist of Napa, Every bite is an adventure, a story unto itself and certain to elicit strong emotions of joy. Plates are around $10 apiece, get 2 to 3 per person and share. Paella after 4PM, their house specialty. Because there are no reservations it is recommended you come early and not on a Thurs, Fri or Sat night. 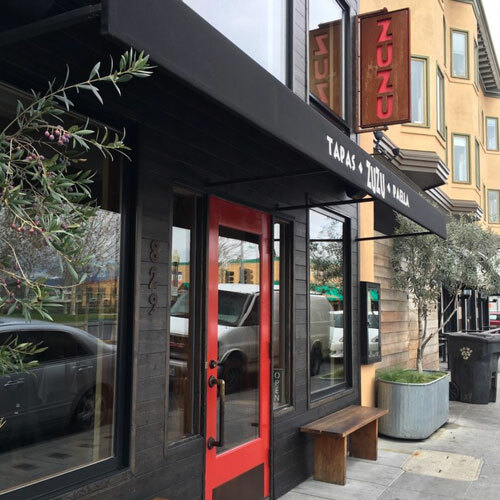 If it's available, a seat at the small bar might be the best in the house and a wonderful way to experience Zuzu. Should I Dine on the Napa Wine Train? The idea behind the Napa Valley Wine Train was to create a luxury experience similar to that of the Orient Express, something once reserved for the wealthiest of the wealthy. You hop on in Yountville and ride the rails to St. Helena, dining on lunch or dinner along the way. As a train buff it's essential. As a dining experience, perhaps less so. The food is what you might expect from a good hotel, sort of like dinner at a Marriott.